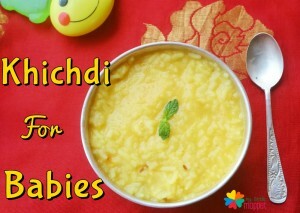 Although there are many other options for lunch, khichdi is very nutritious and also a fiiling meal for the munchkins. 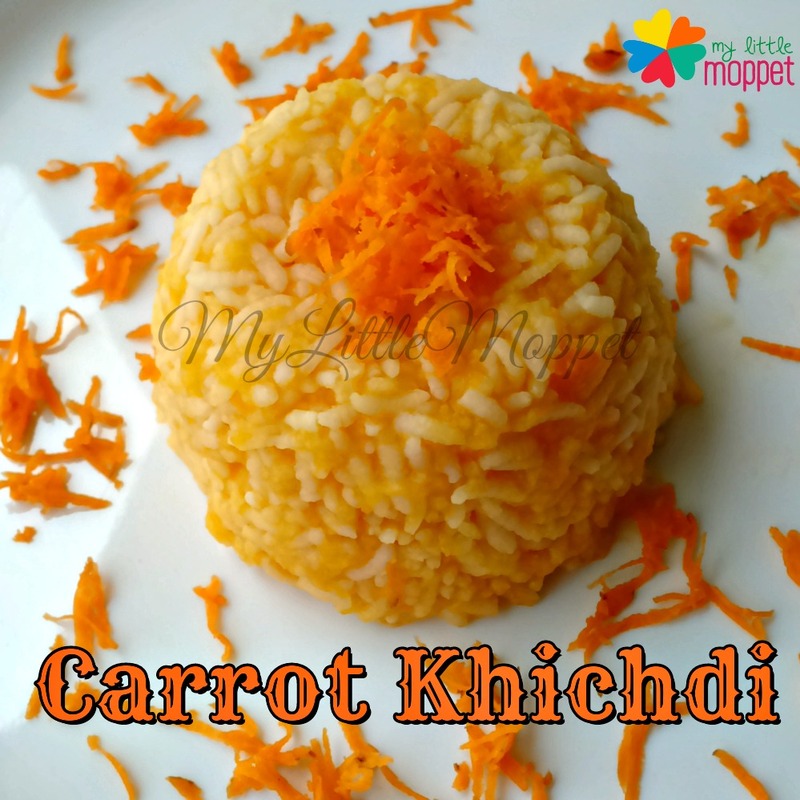 So I tried out various combinations for khichdi and came out with these 10 easy khichdi recipe. White or Brown rice can be given, brown rice is a little heavy but very nutritious. Any of the above Dals can be added. Before introducing the dals to khichdi make sure you have given them separately as Dal Ka Paani. 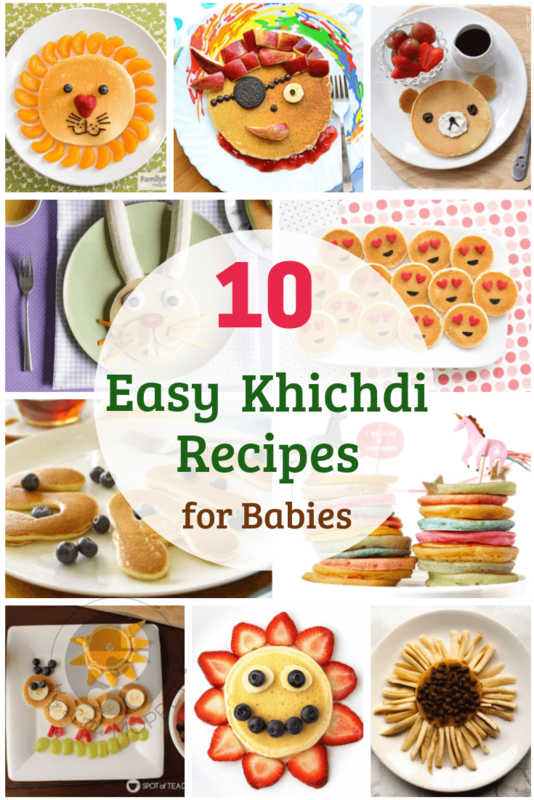 Want to try these 15 easy recipes for your baby? 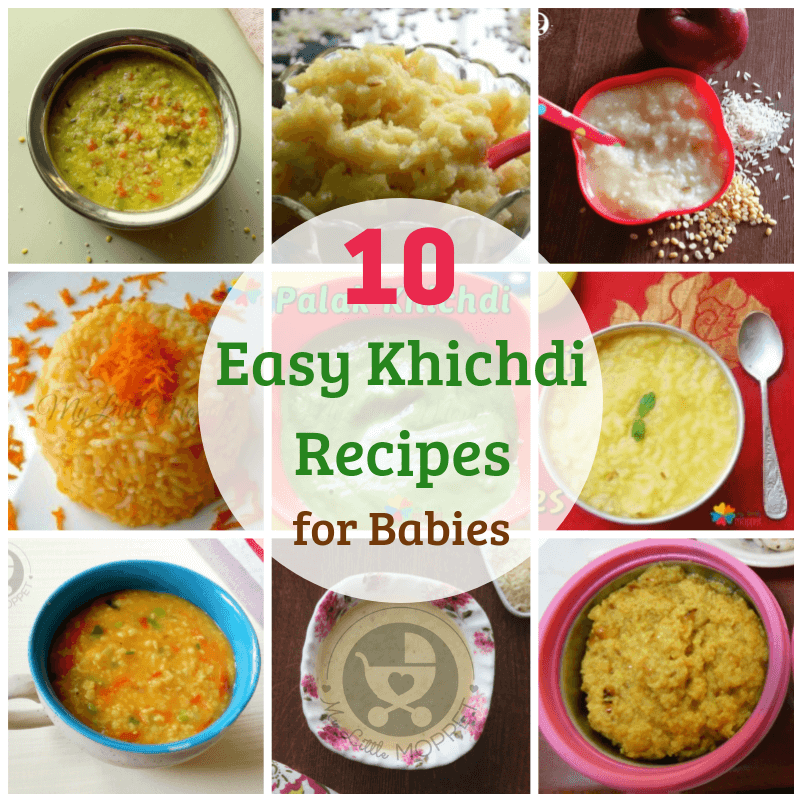 Then download our FREE Ebook – 15 Easy Khichdi Recipes for Babies to prepare yummy lunches for your baby. 9. 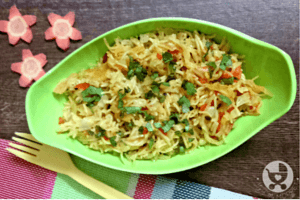 Wheat Dalia Khichdi . 10. 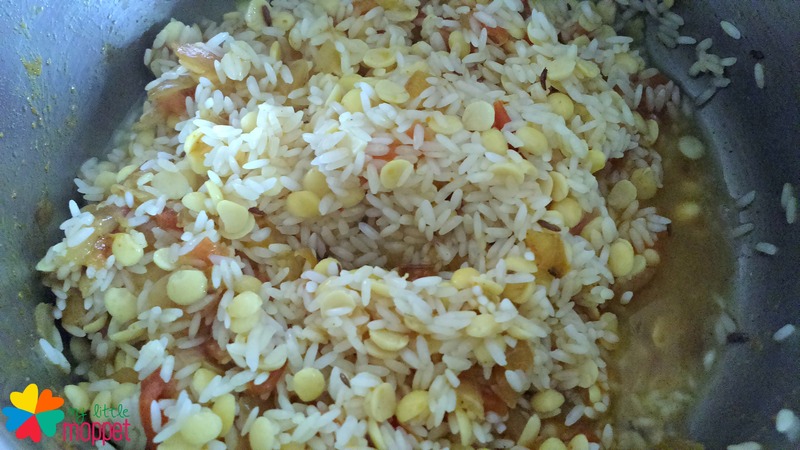 Masoor Dal Khichdi . Due to lack of time, I was able to elaborate only one recipe (Tomato Khichdi) with pictures and video, will update the other recipes with pictures as soon as possible. 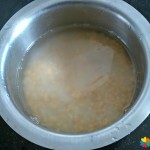 Wash and soak the rice and dal in water for half an hour. In a pressure cooker, add the Rice, Dal, Garlic and Hing. Pressure cook till 3 whistles(one on high and 2 on medium). After the steam is released, add ghee and serve. 1/3 cup Toor or Moong Dal. 1/2 teaspoon jeera seeds or 1/2 teaspoon jeera powder. * Wash and soak rice and dal in water for half an hour. *Cut the onions and tomatoes. * In a pressure cooker, add ghee. * Add the jeera and let them crackle. 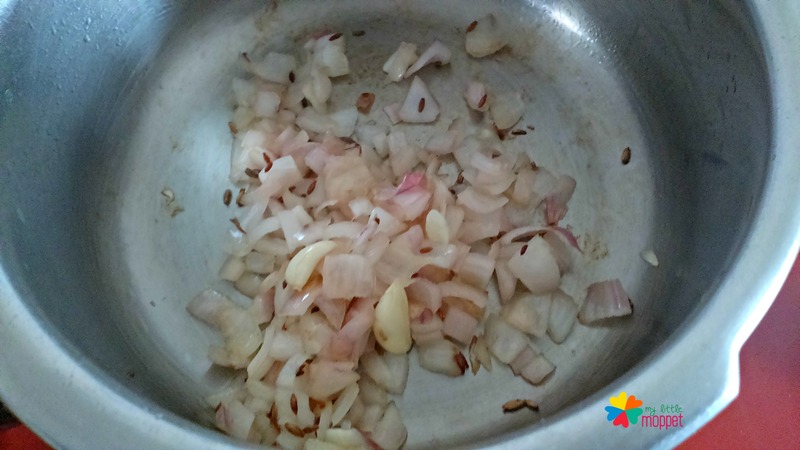 * Add the cut onions and fry them till they become transparent. * Fry it till the ghee leaves the sides. * Add the washed Rice and Dal, fry for a second. * Leave 3 whistles ( 1 on high and 2 on medium). * After the steam leaves, mash it a little and serve. Please Note: Tomatoes may not suit some babies, may cause diaper rashes, so please introduce tomato either as juice or soup before trying out this recipe. If your baby is not tolerating tomatoes, you can add a teaspoon or two of Tamarind water to get the tangy taste. Wash and soak rice and dal in water for half an hour. In a pressure cooker, add the ghee. Add jeera, cloves, cinnamon and saute for a minute. 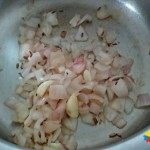 Add onions and fry them till transparent. Add the rice and dal and fry them for a minute. Leave 3 whistles ( 1 on high and 2 on medium). After the steam settles, remove the cloves and cinnamon and mash the khichdi and feed. Please Note: Spices like cloves can be given after 8 months if there is a family history of allergies better avoid it till 1 year. 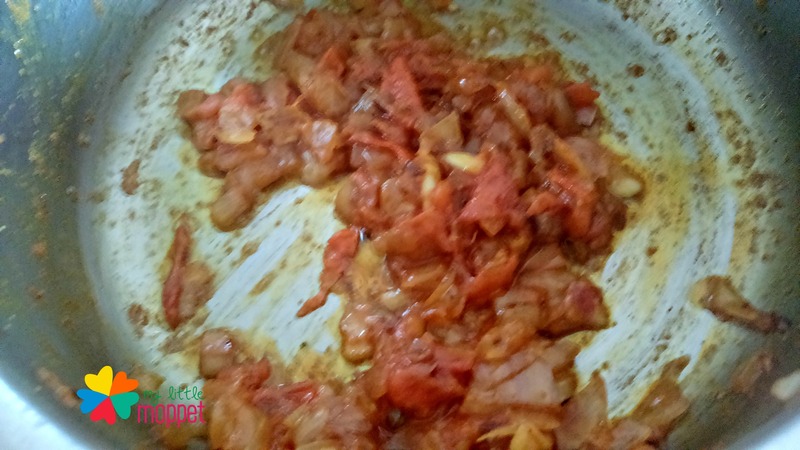 Same ingredients and method as of tomato khichdi, while frying onions and tomatoes add grated carrot to it and fry till raw smell leaves and cook in the same method. Any type of spinach can be added, make sure to clean them properly before cooking. 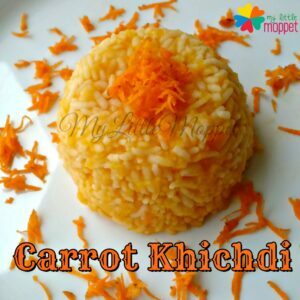 It is the same recipe as Plain khichdi or it can be added in tomato khichdi as well. 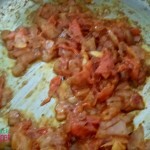 Chop the spinach finely, add after the tomato and fry for a min before adding rice and dal . The khichdi can be blended by mixie. Clean and chop the palak leaves finely and the rest is same as Spinach Khichdi. This can be given after 8 months of age. Make plain khichdi with moong dal. After the khichdi has cooled, add the curd to it, mix nicely. In a tawa , add ghee. Add jeera seeds and curry leaves and let them crackle. 3/4 cup Broken Wheat dalia. 1 Clove garlic and a small piece of ginger, mash them together. 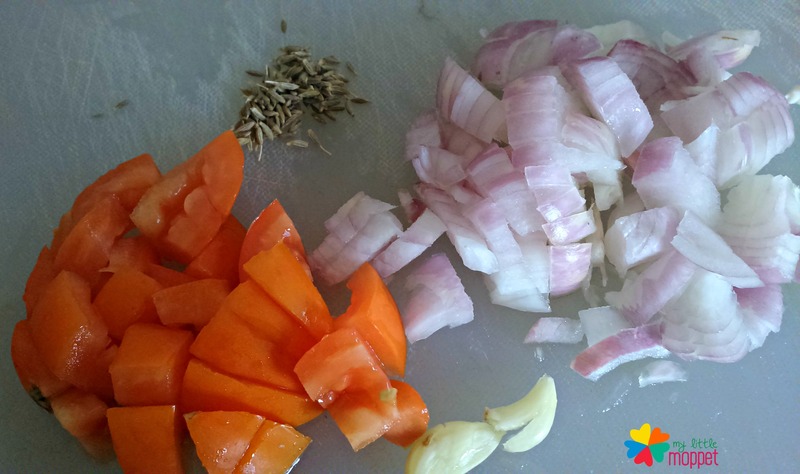 Cut vegetables like carrot, potato, beans and peas. 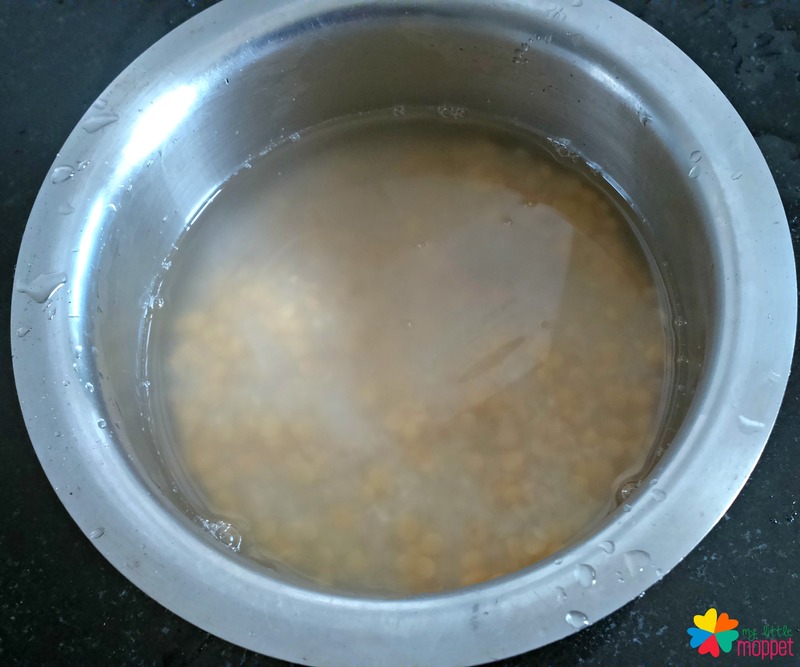 Wash and soak dalia and moong dal in water for 15 minutes. In a pressure cooker, add ghee. Add Jeera, hing and let them crackle. Add the onions and then ginger garlic mash. Add the veggies and fry for a minute. Then add the dalia and moong dal. After the steam is released, mix and serve. It is same as tomato khichdi, instead of the toor or moong dal add masoor dal. My Baby is 8 month old , can I give him garlic. one or two pod of garlic can be added to baby’s food till 1 year. Garlic can be introduced in baby’s food after 6 months of age dear. Khichdi can be given from 7 months itself. Thank you so much for your wonderful recipes, my baby really enjoys them. She is 9 months old and has a problem with rice as she gets constipated after eating it. So I couldn’t give her any rice recipe till now but I want her to get used to it as rice is major part of our meal. Please help me out how I can give her rice without constipating her. 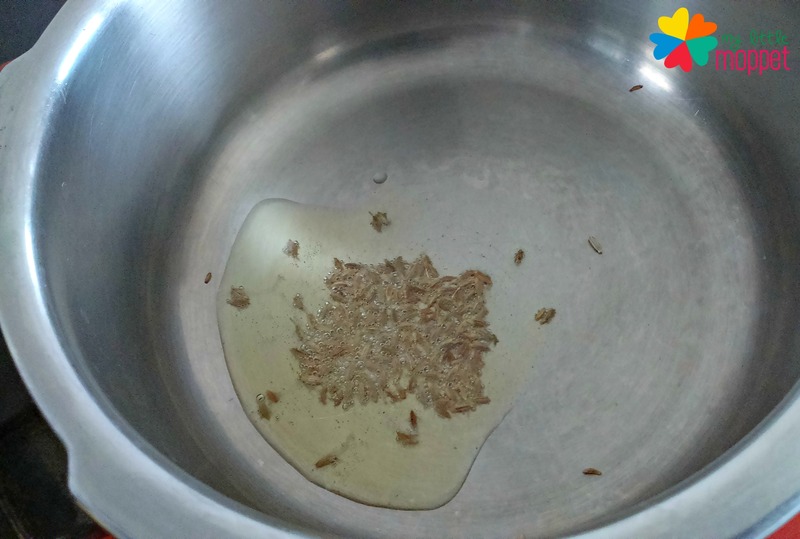 There are many recipes that you can try to feed your child with rice. Initially when you are feeding rice to your child feed 1 or 2 sips of water for every spoon of the feed and give ample of water for the child to digest the given food. Apart from the white rice you can try feeding your child with millets,brown rice, red rice etc. Which not only helps and increases the nutrition it also helps in other minor infractions such as constipation,diarrhea etc in children. 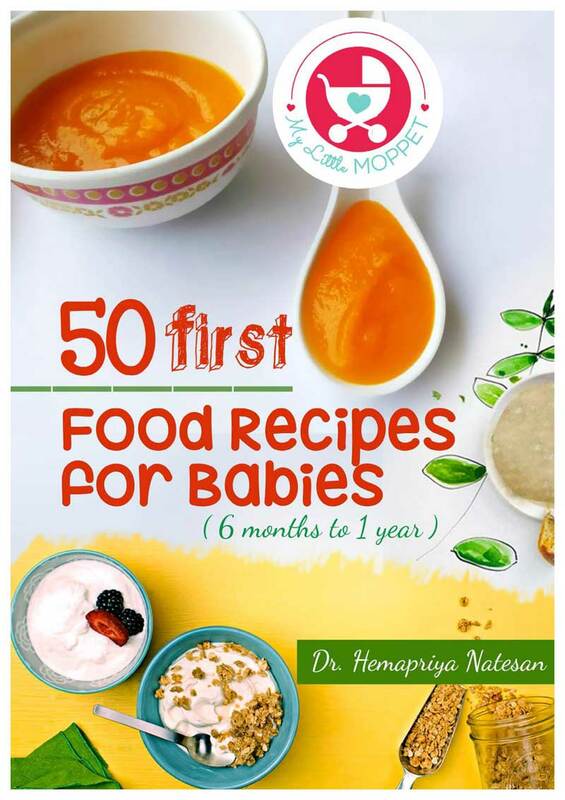 The recipes are really good but i have a doubt if we can give garlic and hing to 7 mo babies? Yes dear you can, as the garlic will be put very sparingly. you can even avoid that if you have a worry or fear of allergy. 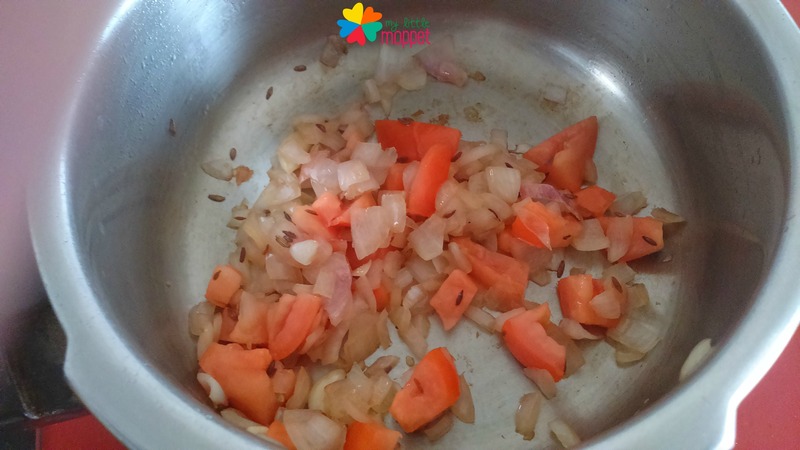 Thank u mam, i haven’t introduced onions yet to my baby, he is 7 mo, can i directly add them in kichidi or how to introduce onions? Any precautions to be taken ? 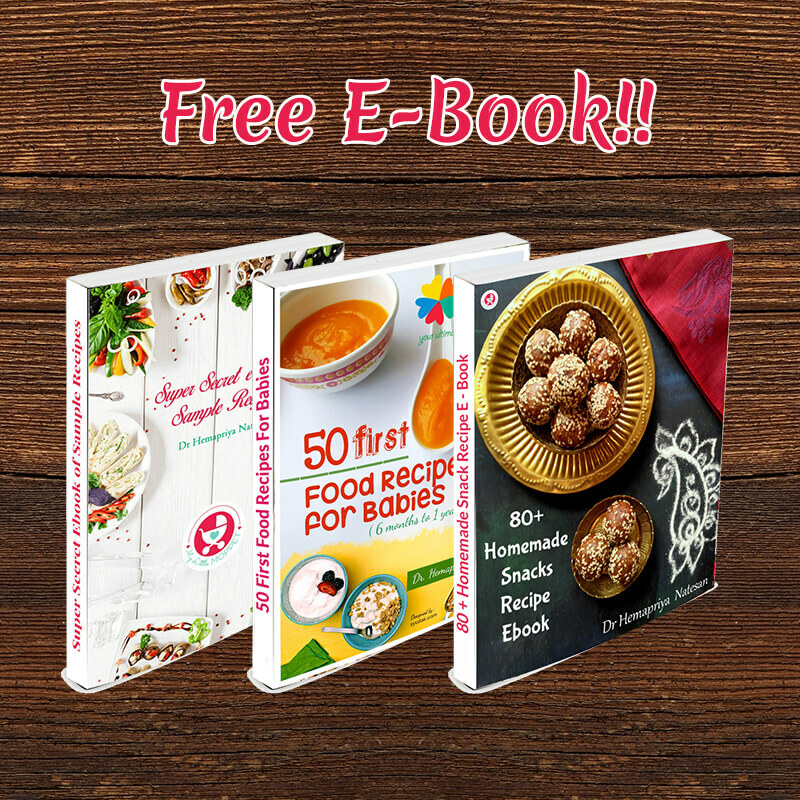 Good variety of recipes. But I am a bit confused that onion and garlic can be given to 7 months old baby? hi.. thanx a lot for the recipies… i hve to travel with my 7months baby to jaipur.. and i was a bit worried abt the food…instant travel porridges helped me out to serve best food for him while travelling… thank u so. much.. Thank you for your kind words dear. Feels very encouraged. Hello doctor Hema. Can I add tomato and pumpkin together to make the khichdi for my 7 months old baby. 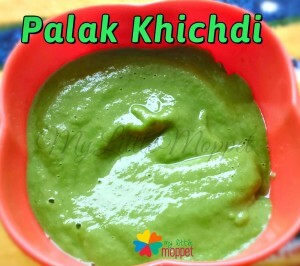 If the baby has tasted both the foods separately and likes it there is no harm in mixing them together to make khichdi. I am New on this site and I saw your recipes. It is very nice and helpful for my 6 n half months old baby. Kindly provide the food chart with recipes for my baby. Hi Hema, my daughter has completed 8months and she only eats pureed food. If i try to give her a lil bit texture like mashed food she almost chokes herself. What can be done? Also she doesn’t like any fruit except apple puree. Hey, Hema. I wants to thank you for giving this recipes. My son is 7 month old.. I am giving 1 type of khichidi daily. Even though he is not eating much. 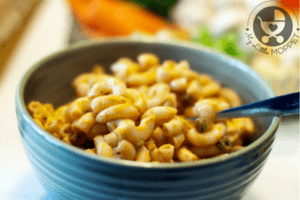 This recipe is healthy as well as filling for him to sleep in peace in his afternoon nap. Thank you so. Your blog is wonderful. Following your food chart as well. Thank you so much Hema for providing these delicious and nutritional khichdi recipes. I am full time working mom. 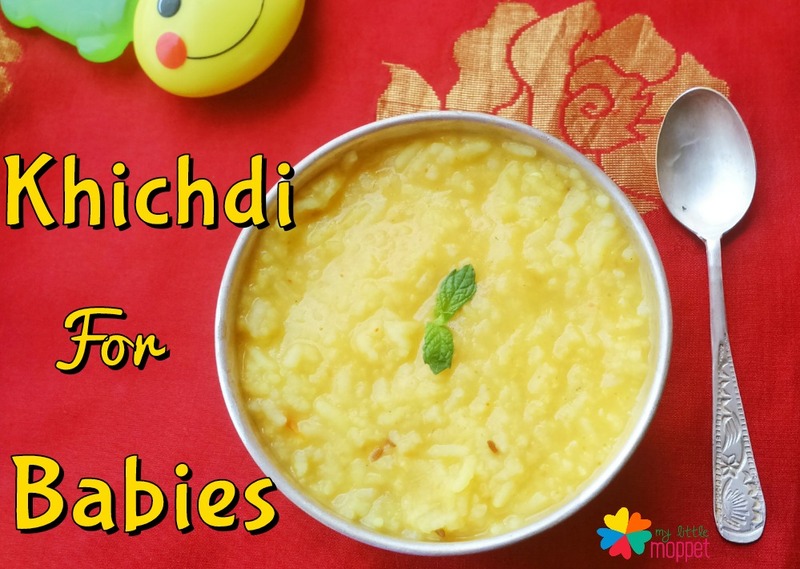 I find it really difficult to make 1 cup khichdi everyday for dinner for my little one. Is there any way I can freeze it? Because I tried freezing it and I think bcos of rice, it never come back to its liquid form, when I defreeze it. Could you please advise if I can freeze it and how? 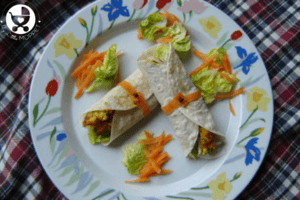 Could u pls share breakfast recipes link…. Looking for some tips/ideas on solids for my 10 month old (Today.. Yay) b/g twins. They both love fruits, yogurts and some vegs. Didn’t’ care for chicken,turkey or egg yolk. I am trying to introduce rice/lentils/veg/proteins combo as dinner and they take great joy in spitting it out. I tried to fork mash it, puree it.. Tried pasta as well and they didn’t like it.. How do i get them to start eating textured food.. TIA! Thanks alot for the wonderful advice and superb food timetable and recipes. Im going to follow the ideas. 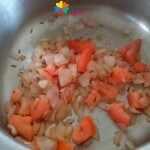 I have a doubt, is it ok to give ginger in khichdi to my 14 month old son? My mom tells me I should use ginger only after the age of 6. Can you pls guide me? Thanks! These are very nice recipes. I wanted to ask, can we add a little salt to these recipes ? Can we add salt to khichdi. You can preferably add veggies, mashed potato to enhance taste. Until the baby is one year, our recommendation is to keep salt to nil or the least you can maintain. Your khicdi recipes are wonderful. But my lil one(8months old) is not eating veggies in lumps. He is eating only if it is pureed and added in khicdi. How can I make him eat veggies.which oil you would prefer for babies. So please suggest me what kind food i can give her. she tries to chew n she swallow nicely. My baby just started 7th month. can I give her onion in khichadi? Could you also help with dinner recipes? how much rice can i give my 9 months old baby? i usually give him 1/3 cup of rice with dal and veggies.. he hates to complete it though.. what is the quantity of “uncooked rice n dal” should i give for my baby?? 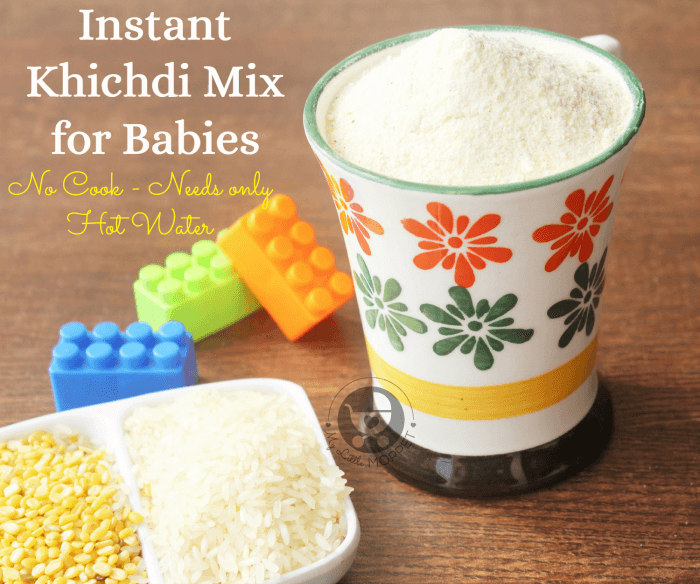 Hi, my baby is a now ayear old and still doesn’t accept mashed food – so i blend the khichdis. If i follow the proportions and blend – it becomes very liquid like soup which i feel isn’t good nutrition enough – as my doc tellls me i need to give solid food not soupy liquid food to a one year old. Please help – am miserable 🙁 she is a fussy eater and doesnt eat so its tough enough as it is. secondly how can i make soffft paranthas without adding too much ghee and how much ghee is allowable for a baby? 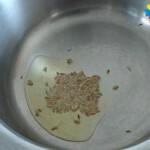 one year old – doc says 1 tsp only – difficult to mk soft parantha in one tsp or soft dosa for that matter. 1. For picky eaters, feed power packed foods like avocado, yogurt, tofu, eggs, veggies (such as carrots and squash) that re highly nutritious. 2. Slowly change the consistency from liquid to semi solid and then solid, the transition may not happen overnight, it takes a lot of patience to stick to it. 3. Try to give her healthy finger foods that are soft and easily chewable. While making dough can even add curd , sometimes boiled potatoes say one spoon …this is how I make the parathas soft . This mean while kneading dough , i add these ingredients which make wonderful parathas for babies..My baby loves it .. 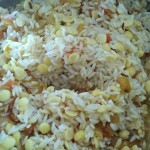 I am very thankful to u for these khichadi recipies. These are really very delicious and healthy. Please keep posting healthy recipies. God bless u. First of all I would like to thank you immensely for posting such nutritional recipes for LOs…god bless you! My LO has turned 8 months now; can I start giving him onion & oil in his fried; if yes, how? Also which all spices can I start. 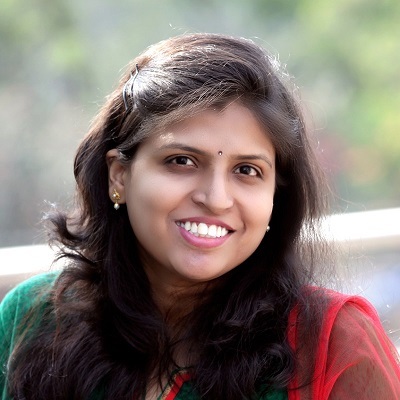 Thanks Dr Hema for your informative website – very helpful for new moms like me. My daughter is prescribed antibiotics for uti. She also has lots of gas and constipation troubles. During antibiotics can I introduce garlic and cumin 1 by 1? The only herb/ spice introduced so far is ginger. She is 25 months old. Your site is very useful. 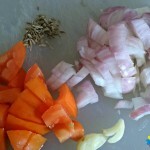 The recipes and the home remedies really helps me a lot as I dnt have any elders at home. My toddler doesnt like any sweet dishes. How can i make her eat? 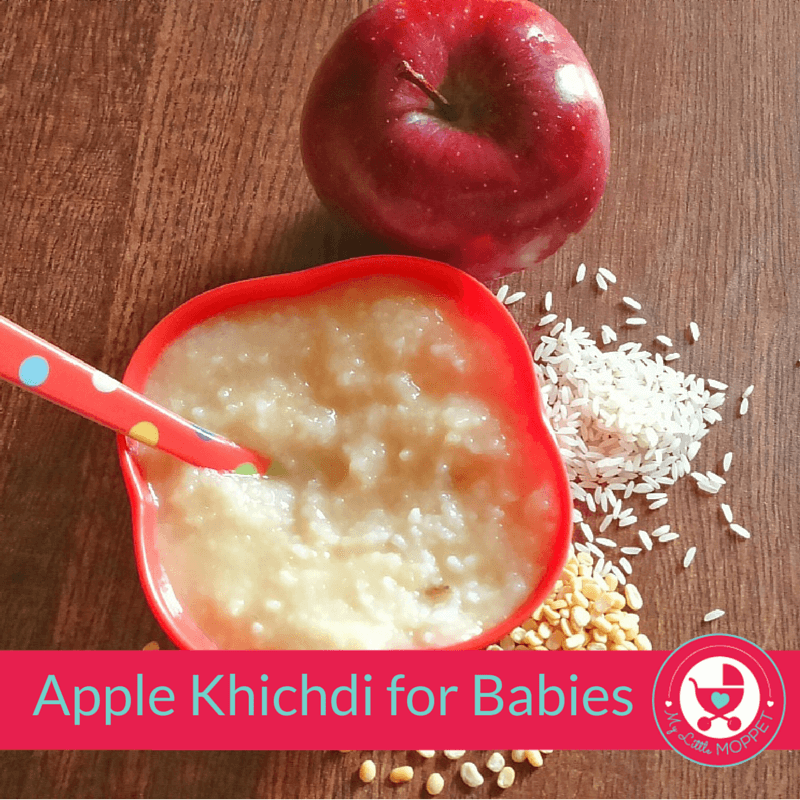 Delicious kichidi recipe for babies and toddlers as well.  Thank you for visiting MyLittleMoppet 🙂 Will surely post more recipes, posting 10 porridge recipes for babies soon. I stop breast feeding to my 8 months baby but he is not drink milk at night n day so what can I do?